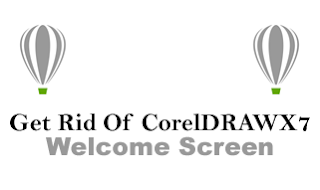 Launch CorelDraw X7 as usual. Finally, uncheck the box titled Always show the Welcome screen at launch. That is all. Now close the CorelDraw X7 program and launch it again to see if the Welcome Screen is disobeying your previous instruction. But we doubt it.